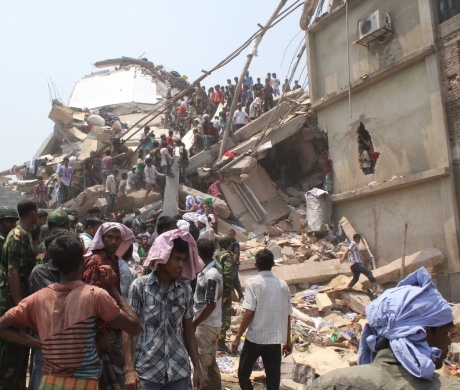 October 17, 2013: More than 100 global brands have now signed the Bangladesh Accord on Fire and Building Safety, driven by UNI and IndustriALL in the aftermath of the Rana Plaza building collapse six months ago. To see an updated list of brands which have signed up to the Bangladesh Safety Accord on IndustriALL’s website click here. 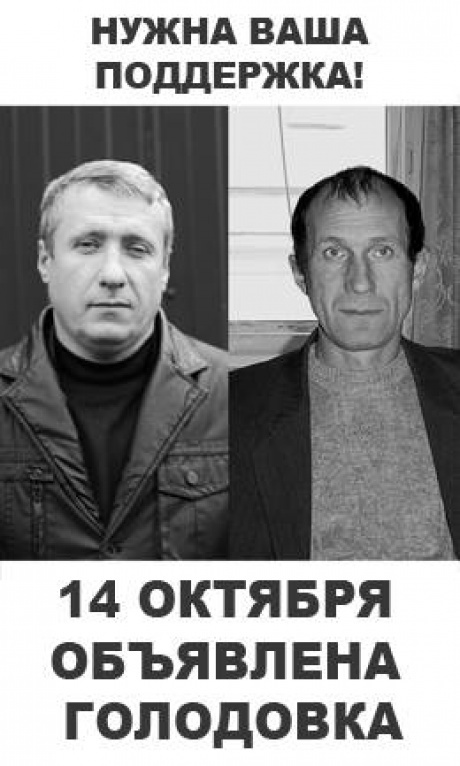 October 17, 2013: Trade union leaders had to announce a hunger strike to protest the union busting campaign started at “Mozyr Oil Refinery” against the local union organization of the IndustriALL affiliate Belarusian Independent Trade Union, BITU. Yuri Shvets, BITU vice-president and chairman of the primary organization at “Mozyr Oil Refinery” and Vasili Alkhovsky, his deputy, started a hunger strike in reply to constant pressure on trade union members and their union. Due to the management pressure since 2008 some 467 workers were forced to withdraw their membership from the organization. This is almost one third of it. to stop illegal acts against BITU members. to start a full and objective investigation by competent independent specialists of the circumstances of the five dismissals. to abolish disciplinary penalties and other punishments as they are not proportionate to the committed offences. to reinstate the dismissed workers on the basis of the local and national legal acts. On 16 October union representatives were supposed to meet the leadership of the concern Belneftekhim, to which the Mozyr oil refinery is an affiliate. Unfortunately, the meeting was postponed and a civilised solution of the conflict hoped by the union is not there yet. The BITU leaders promised to apply all legally possible measures for protection of the fired workers. They decided to stop hunger strike for the time being. October 17, 2013: Talks between Ineos and Unite, Britain’s largest trade union and IndustriALL Global Union affiliate, have come to an abrupt end after company representatives walked out demanding an apology from the union. The dispute at Ineos, one of the major multinational companies manufacturing petrochemicals, specialty chemicals and oil products, in Scotland, has its background in the harassment and threats of sacking of a Unite the Union elected representative. Escalating over the past weeks, the parties finally sat down to try to resolve the conflict. But after several hours of negotiations, and on the brink of an agreement, Ineos representatives walked out of the talks in the early hours of 16 October. Unite had offered Ineos every proposal they could make but were met with a list of new demands, including one for an apology to Ineos Chairman Jim Ratcliffe. Unite the Union has responded by calling off all industrial action by guaranteeing not to go on strike during the negotiations to protect the Grangemouth site, which is an important asset for all the parties. Unite the Union is fully committed to avoiding any damage with cold shutdown to ensure fuel production and supply across Scotland, and the safety of the site and the surrounding areas. October 16, 2013: Workers of the General Electric plant in Fort Edward, NY joined by union members and local communities announce a rally planned for Friday 18 October to protest against closure of their plant. The workers and representing them Local 332 of the United Electrical, Radio and Machine Workers of America (UE), a U.S. affiliate of IndustriALL are worried that the closure of the capacitor plant and its transfer to Florida will have catastrophic consequences for 200 employees, their families and even more harmful to the local community through destruction of local businesses working with GE and leaving many more people without income. However, this is not the only concern of the workers and their union, GE leaves a very bad environnemental heritage to the Fort Edward community. According to the union from 1940s to 1970s the GE Fort Edward plant has poured some 1.3 million pounds of highly-toxic polychlorinated biphenyls (PCBs) into the Hudson River. The GE has tried to escape the responsibility for the damages and currently a multi-year project to clean the river is taking place. The consequences are still impacting both the environment and people’s health. October 15, 2013: The Supreme Court in Mongolia has ordered Rio Tinto to reinstate an unfairly dismissed employee, as well as to pay compensation. Gantuya was dismissed from work by Rio Tinto for protesting against discrimination over the remuneration paid to Mongolian employees. The unequal remuneration pay between Mongolian nationals and expatriates translate into a disparity of MNT 3 million for local Mongolian workers at Rio Tinto, to MNT 30 million for expatriates a month on average. The Ministry of Labor has confirmed that Oyu tolgoi and Rio Tinto were in violation of Clause #8.1 of the OT IA “in the most blatant, wanton manner and never made a single step towards enforcing this obligation”. The Supreme Court ruled that the termination of Gantuya employmentwas unjust and unlawful. The ruling of the Supreme Court was the final arbiter over Rio Tinto’s intransigence and arrogance to refuse two lower court judgements in favour of Gantuya. Rio Tinto took the matter on appeal to the Supreme Court and lost. “This is a huge victory not only for Sainkhuu Gantuya, but for all workers in Mongolia, especially at Oyu Tolgo.